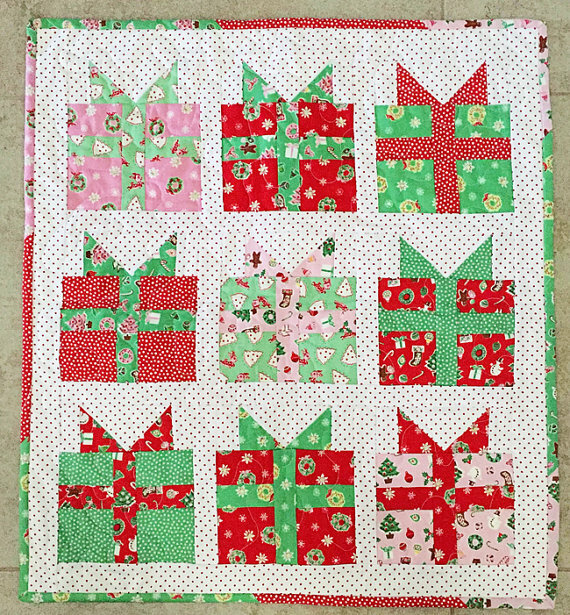 I loved the block so much, this year I decided to make a fun mini quilt with it! 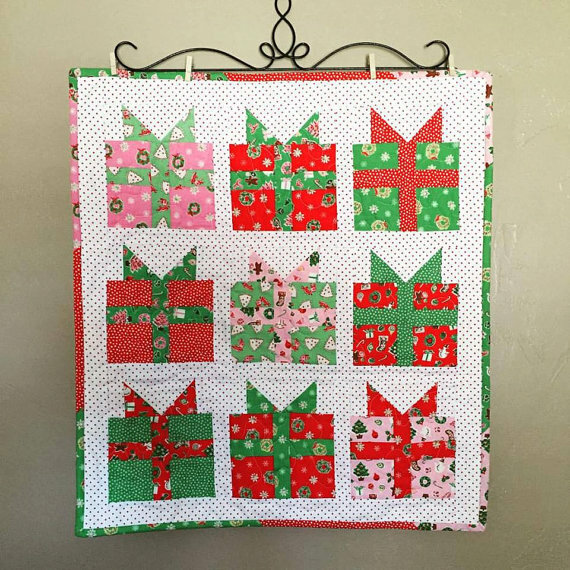 All you need to do to make this mini quilt is: make 9 Present Blocks and sash it with 1 1/2" strips of Red Swiss Dots. If you don't have time to make a mini quilt--you can make a few mug rugs with the pattern or some pot holders! They make great gifts! 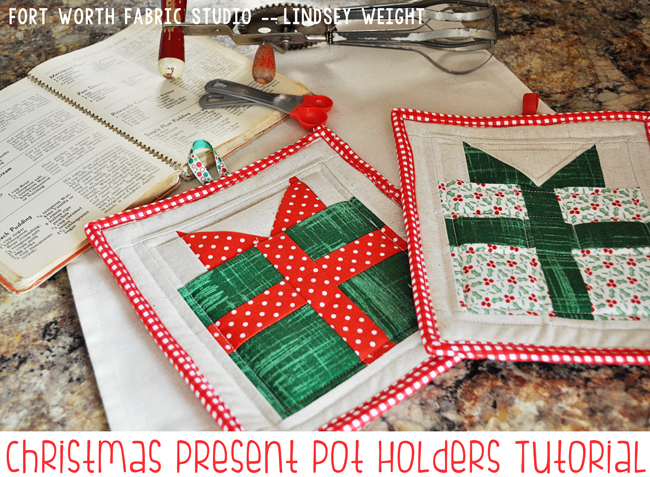 Cute :) It'd be great if this post linked to the original Christmas Pot Holder Tutorial page, it took me a while to find it on your blog. I would agree with Katili about providing a link to this potholder. It's very cute, but I don't have the time to scroll through pages of offerings to find it. Thanks ladies! I'm sorry about not having the link on there - I thought I had included it at the beginning of the post! Sorry about that! I have edited the post to include the link. 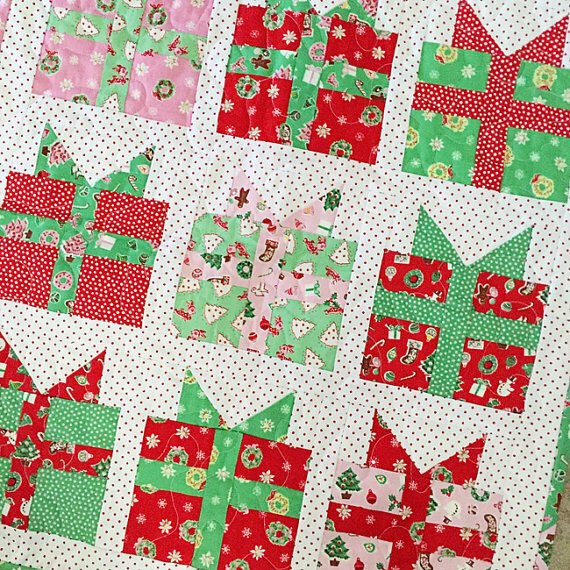 I made several of these cute blocks and I agree they are a snap to sew together! Thanks for the inspiration!